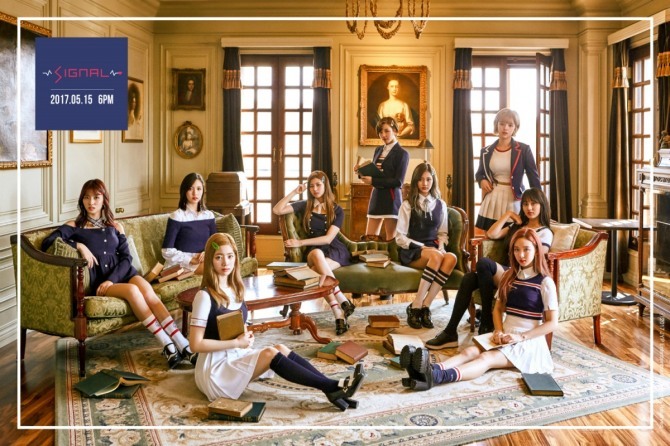 Twice is set to drop its new album on May 15, according to agency JYP Entertainment. The agency said Monday the group’s fourth mini album “Signal” and the title track will be released on May 15 at 6 p.m. In a preview image of the new album unveiled via the agency website also Monday, the band can be seen wearing white and navy school uniform-styled outfits. The nine-member girl group debuted in October 2015. Its first mini album, “The Story Begins” with lead track “OOH-AHH,” dominated several music streaming sites both at home and abroad. Less than a year after its debut, the group had earned its reputation with hits such as “Cheer up,” “TT” and “Knock Knock,” all in 2016. The group recently wrapped up its first overseas concert in Thailand and Singapore.